My daughter took this picture the last time we were in South Africa. This little girl is 2 days old! Ten years ago, my daughter and I went to South Africa so that she and I could give several presentations to homeschoolers throughout the country. Yes, there is a strong homeschooling movement in South Africa, and many of the people there use the books I wrote for their junior high and high school science courses. Since then, I have started an elementary science series, and it is starting to be used in South Africa as well. 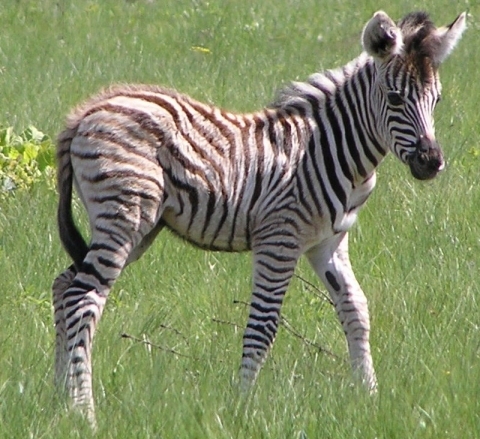 While my daughter and I were there, we saw some amazing things, including the two-day-old zebra pictured above. We both fell in love with the country and the people there. It has been far too long, but I am on my way back! My daughter has a full-time job now, so she cannot come. That means I get to introduce my wife to the wonders of this beautiful country. I will be speaking to homeschoolers again, and my wife will be taking as many pictures as her SanDisk can hold. I also get to dive while I am there, so I hope to get some good underwater shots. We will be there for just over two weeks, and I hope to blog a couple of times about what’s going on. Have a great time while there Dr Wile. SA has a large Christian community, amoung others, and I am sure you will touch the minds and hearts of those you visit with. Hi Dr. Wile! Its exciting to hear that you’re coming to SA! What are the dates and venues of your speaking engagements? I’d love to spread the word. I am glad my talk was helpful, Yolande. It was my privilege to be there! Thank you Maryna. Honestly, it was my privilege to come to your lovely country!